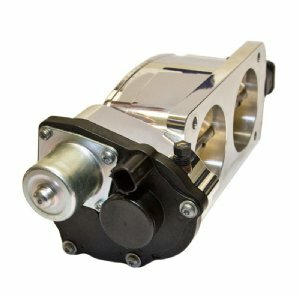 Note: Throttle body will also fit 2011-2014 Mustang GT and Boss 302 with Cobra Jet intake manifold. 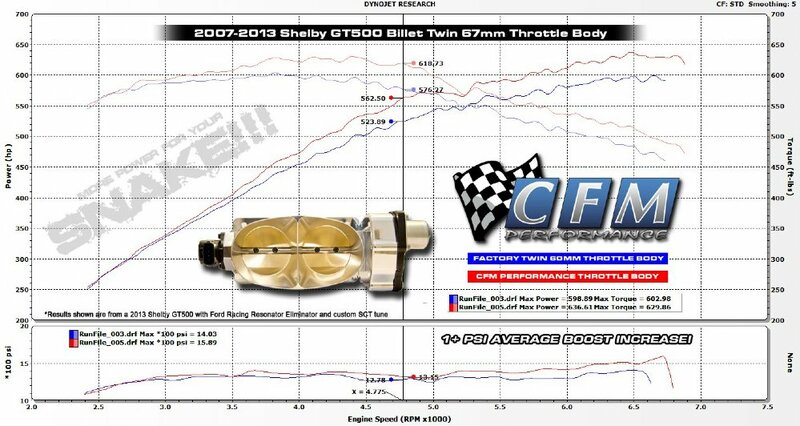 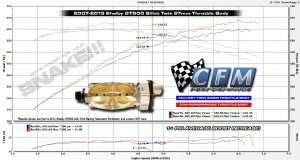 The CFM Performance Twin 67mm Throttle Body is a direct replacement for both the 2007-2014 Mustang Shelby GT500 and 2011-2014 Mustang GTs with a Ford Racing Supercharger Kit M-6066-MGT624D. 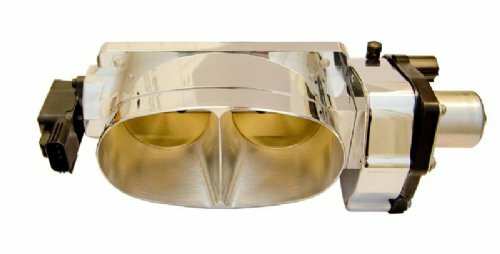 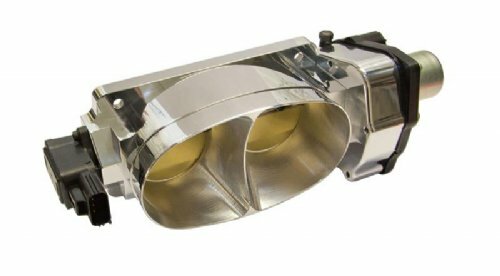 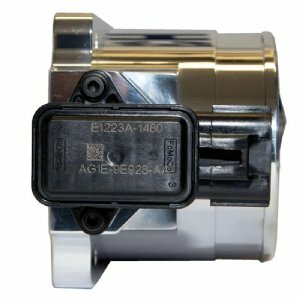 Recently tested on a Dynojet, our Twin 67mm Throttle Body showed an increase of 37 horsepower and 26 lb.-ft. of torque on a stock 2013 Mustang Shelby GT500.